CPNB 2018 ("The Dundee Conference") will be the foremost Conference concerning environmental management, crop production and associated topics in northern environments. Whilst the long-established Association for Crop Protection in Northern Britain is not changing its name, the change in the title of this year's Conference to Crop PRODUCTION, reflects the wider remit of recent conferences. We are pleased to announce that Registration is open for CPNB 2018. Please register online. The aim of the Conference is to bring together farmers, agricultural and horticultural advisers, the technical staff of the agricultural chemical trade and all those concerned with recent advances in chemical and non-chemical crop protection, including advisory, research and government organisations, to discuss crop protection problems prevalent in northern environments. In addition to those from Scotland, northern England and Northern Ireland, the Conference will be of relevance to many others in Northern Europe. 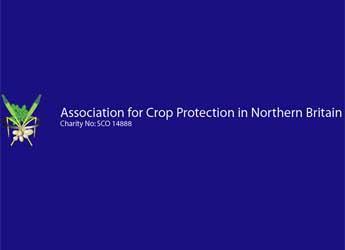 CPNB 2018 is organised by The Association for Crop Protection in Northern Britain, a non-profit making Registered Charity which brings together the James Hutton Institute, Scotland's Rural College, Scottish Agricultural Science Agency, SNH and the agricultural trade in Scotland.